Hilary Duff was spotted leaving her hotel on a rainy Tuesday morning this week. The blond cutie, who just released a new single, Chasing the Sun, braved the wet New York weather by slipping into a layered outfit consisting of a white long-sleeved tee, some dark skinny jeans, and a textured monochromatic jacket. 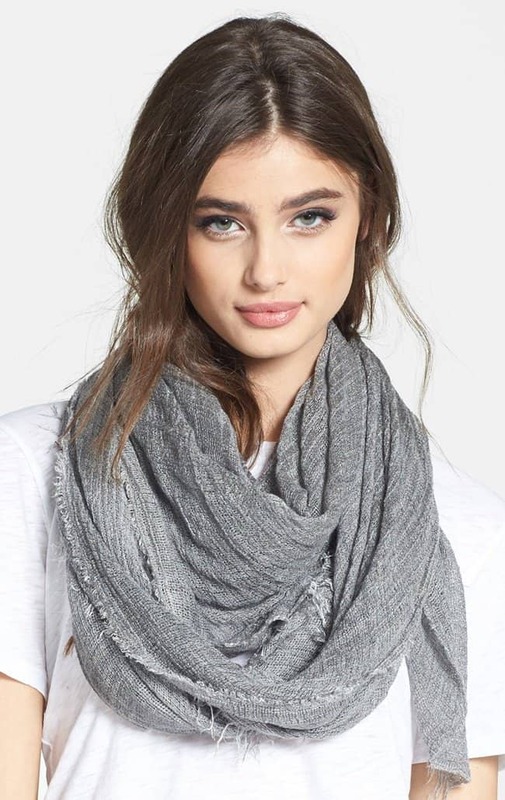 Capping off her ensemble were on-point extras that included a gorgeous bucket bag in patchwork, leopard-print high-top sneakers, and a cozy heather gray scarf that she wrapped around her neck. It was a sporty chic attire and she looked really amazing. How do you like Hilary Duff’s latest street style? Do you approve? We obviously love it, and we love every single piece she selected to come up with the whole attire. It’s a perfect play of textures and print, and we’re itching to take a cue, especially since ’tis the season to layer. Would you like to give Hilary’s look a try? To steal Hilary’s sporty chic getup remember to keep your palette monochromatic. She used black and white as her base, then accessorized with gray, blue, and other dark earthy tones like moss green and brown to spice things up. You’ll need to grab four key items in order to seal the deal here — a gray scarf, leopard-print sneakers, a varsity or bomber jacket in black and white, and a patchwork or colorblock purse. Hilary’s sneakers are from Golden Goose, while her purse is from Proenza Schouler. Of course, you need not purchase both designer items to get the look, though we’re not going to stop you either if you want to spend away loads of money. For the gals on a budget, here’s what we came up with. 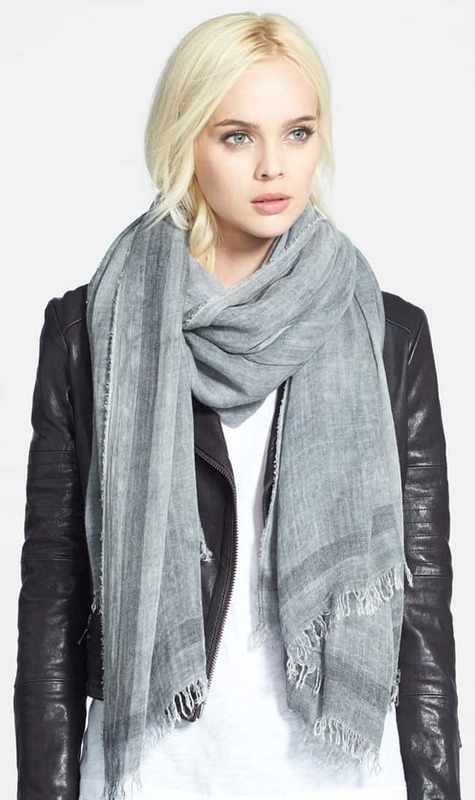 You can use the cashmere silk scarf from Nordstrom Collection posted above, or you may also try these neck warmers from Rag & Bone, which are darker in color, more luxurious, though a tad pricier.